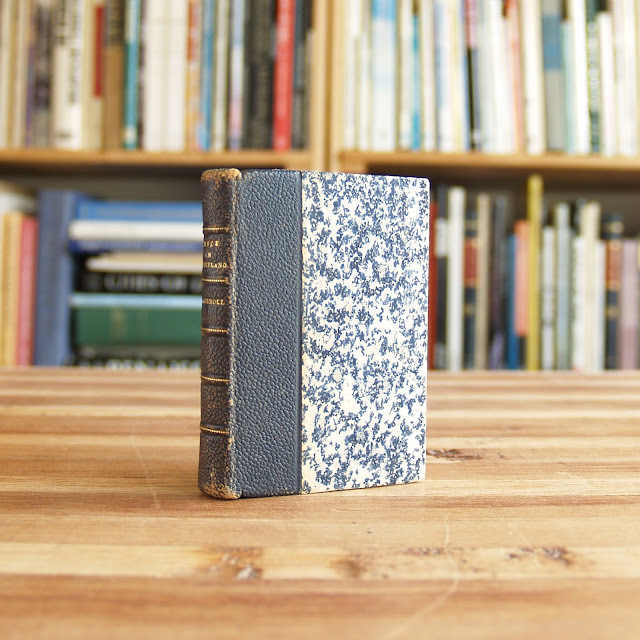 Wonderful miniature leather bound edition of Carroll's classic from Edmund Wood's Minia Press. 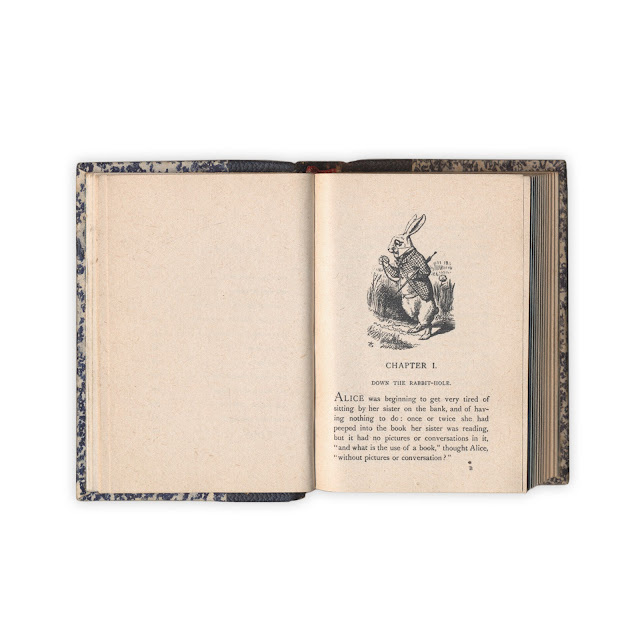 2.25 x 3.25 inches with 174 pages. 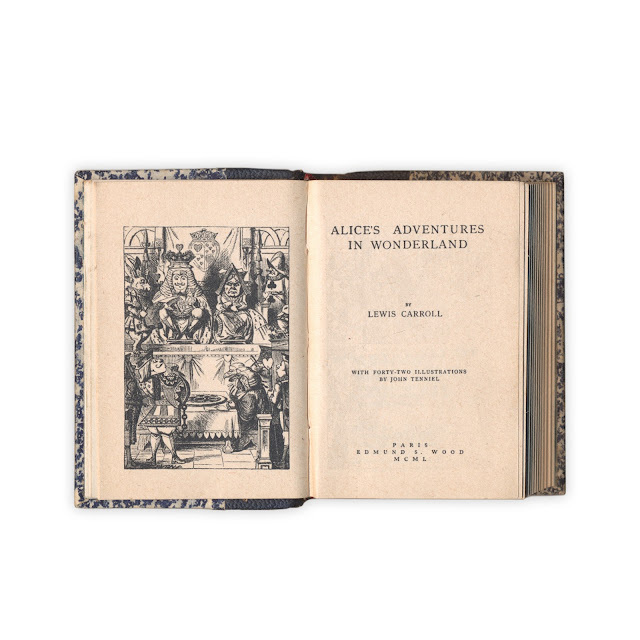 Contains all of John Tenniel's wonderful illustrations. 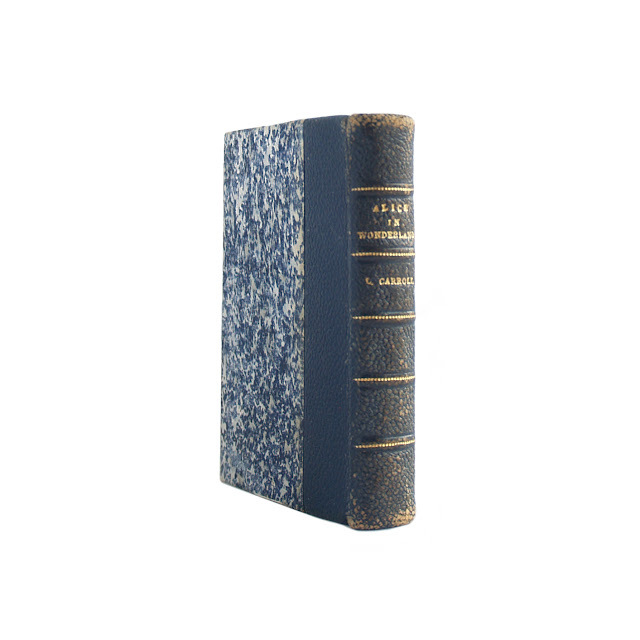 Deep blue half leather over blue and white marbled covers. Gilt titles on spine. Five raised bands. 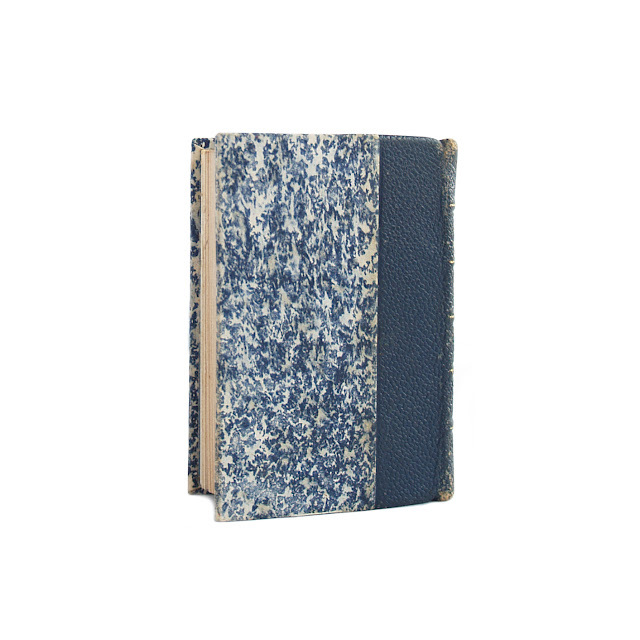 Blue, white and gold marbled endpapers. Gilt top edge. Binding is nice and tight, corners are crisp. 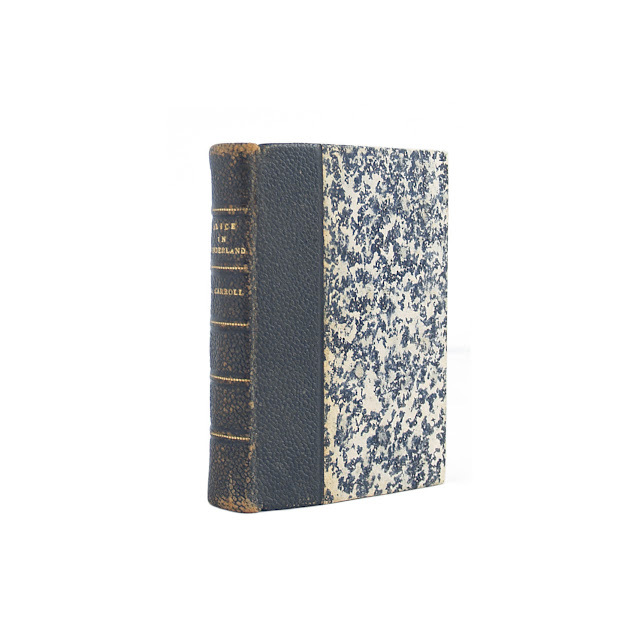 Pages shows a hint of browning, overall clean and crisp. Some light rubbing and wear to leather on spine.